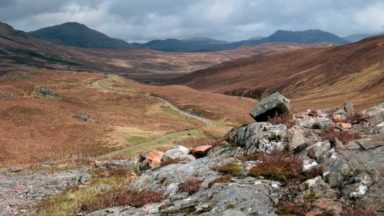 Scotland’s mountains are among the wildest in Europe, thinly populated and still lightly touched by modern development. This is a hard empty land of rock, loch and bog, sculpted by glaciers and dominated by the elements but also a land of great beauty, with water and mountains in a unique balance. That rugged beauty, toughness and isolation are what bring hillwalkers, backpackers and fellrunners back time and again for some of the greatest mountain days (and nights) to be found anywhere in the world. 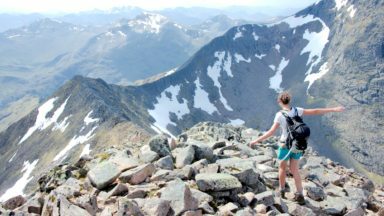 Some of the 50 walks described in Great Mountain Days in Scotland are well known classic challenges – such as the Lochaber Traverse and Cairngorms 4000-ers – while others approach a favourite mountain from a new angle or combine several in a testing way. Each one can be crammed into a single, long day or backpacked over two to spend a little longer in this rugged and addictive landscape. This is the third title in the Cicerone Great Mountain Days series, which include the Lake District, Snowdonia and the Pennines. Even GPS users should carry a map and compass (and know how to use them) in case of electronic gremlins or battery failure. 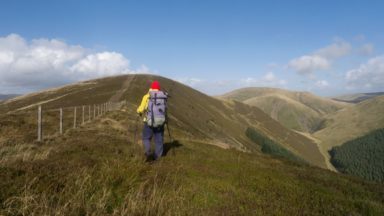 The Ordnance Survey (OS) produce comprehensive mapping of the whole country in a range of scales, the most useful for walkers being Explorer maps at 1:25,000 and Landranger sheets at 1:50,000. The latter are generally better for long hill walks since they cover more ground per sheet at sufficient (but not excessive) detail. Popular mountain areas are also covered by the small independent cartographer Harvey, their Superwalker (1:25,000) and British Mountain Map (1:40,000) series having been designed to contain only information pertinent to outdoor users. The relevant maps are given in the information box for each walk. Scotland’s hills must be among the best documented anywhere, covered by a library of guidebooks in a thriving ‘literary’ tradition dating back to the 19th century. 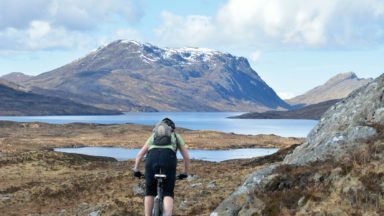 Activity-specific guides are available for every mainstream outdoor activity – post-lunch glen strolls, long-distance hikes, serious hill walks, scrambling, climbing, paddling, and cycling in its various sub-genres. Regional guides provide detail on a given area; national guides take a broad-brush approach or (like this book) they cherry pick. There are too many books to list, but for some specific recommendations see Appendix 3. The ferry service over to Barrisdale is no longer running but it might still be possible to arrnage a private boat in Arnisdale for this short run. Also the bunkhouse website is www.barisdale.com (not www.barrisdale.com). ‘… Their new Great Mountain Days in Scotland, by Dan Bailey, is more ambitious in scale and scope, and demands similar ambitions from its readers. Over three-quarters of the routes are 10 hours long or more, many over 12 hours; for some readers this book will be mostly about dreams rather than realities – but what dreams! 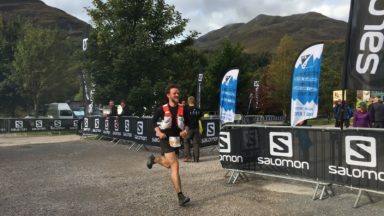 Bailey has conjured up from his great knowledge and love of the Scottish hills a truly magnificent selection from amongst the finest mountain days (and nights – some of the routes can be extended over more than one day) that Scotland has to offer. 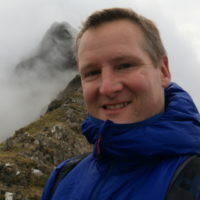 Like his earlier companion books for Cicerone on the mountain ridges for Scotland, Wales and England, it is illustrated by his own photographs of outstanding quality in a size and format that allows them to have their full impact. ‘Inspiration and adventure come thick and fast in this jauntily-written guide to 50 of the best day (and multi-day) mountain walks in Scotland. 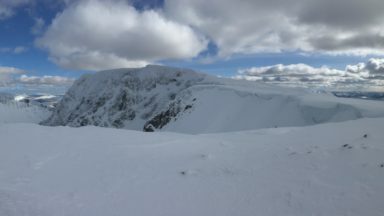 …it is refreshing that, unlike some guides, it is not obsessed with ticking every Munro or Corbett summit but rather focuses on what I would call a mountaineer’s natural line or journey. All in all, a very useful resource for anybody seeking ideas or planning their next big day in the Scottish mountains. 'I now have yet another priceless gem to add to my Scottish repertoire: a fascinating Cicerone guidebook by Londoner Dan Bailey. ...Each walk is gloriously illustrated with superb photographs and custom-drawn maps based on OS data.